A high wire, tree top adventure course set in the heights of an Adirondack forest. 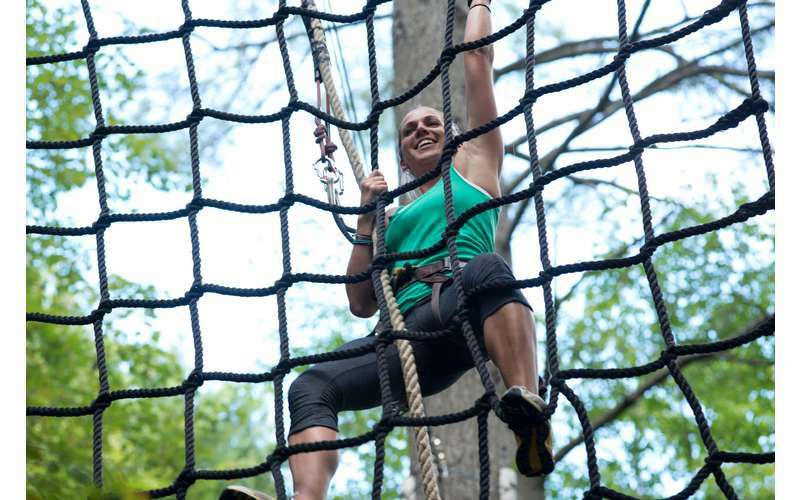 Explore nature through a combination of outrageous obstacles and challenges including zip lines, suspended rope bridges, tarzan swings, swinging surprises, nets, and ladders. Spend up to 4+ hours of sheer excitement trekking from tree to tree on our adult course options. Please allow 1 to 1 1/2 hours for the Kids Course. Four (4) Course Package (9+) offers more than 100+ obstacles and 11 ziplines. Two Childrens Courses (6+) offers 30+ obstacles and 3 ziplines. Perfect for families, parties, schools, summer camps, groups, and corporate outings. Fun, freedom and personal reward are what Adirondack Extreme is all about. Owned and operated by The Johnson Family of Lake George NY since 2007 Adirondack Extreme is the flagship park of adventure park builders Outplay Adventures. The United States' first aerial adventure course boasts an exhilarating tree-to-tree experience for all ages and fitness levels. 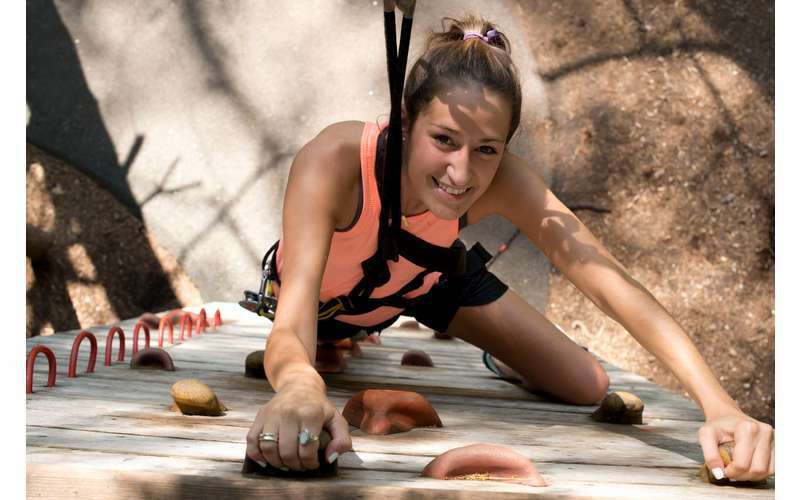 After being fitted into your harness, you'll attend a brief training session that will allow you to move through a series of surprising and progressively challenging tree-top adventures. Our friendly ground patrol staff observe and motivate you along the way and help ensure a safe and memorable experience. .
Visit their website to find out more info! Adirondack Extreme was the best day of my summer! Going back this year with even more friends. Take in the sights and indulge in, well, whatever you want to do when you vacation solo in Lake George! Take it easy when you want to or get your adventure on when the mood strikes without having to worry about your traveling companion, spouse, kids, or anyone else. Be a little selfish, this is your vacation and yours alone!